This week has been a hard week. So many of my friends and family and even just acquaintances or strangers I see on social media have been struggling this week. There's hurt and there's sickness and there's death and there's just so much pain in the lives of others. 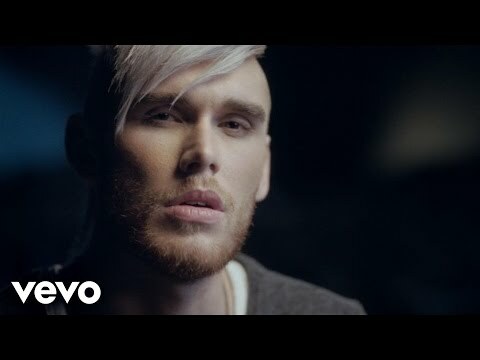 As I was getting ready for work this morning, Colton Dixon's Through All of It was playing through my head and there was such a conflict of feeling in my heart as I listened to it. This song is one of my heart songs. A heart song, for me, is a song that just connects to me at any point of my life, no matter what I'm going through. Sometimes I hear my heart songs and I sing them with joy at the top of my lungs and am grateful for all that God has given me and done for me. Other times I sing them with a heart full of hurt for whatever trial I'm going through. Take Farther Along, for instance. Sometimes I'm the one singing "Cheer up my brother", and sometimes I'm the one being reminded "we'll understand it all by and by". But it's always interesting to me how the words of these songs can have different meanings, depending on my life's circumstances. Today as I hear that, I wanted to close my eyes sing it as an anthem of praise for God's care for me. But I overwhelmingly felt it in my heart as a prayer and a cry for God's mercy and peace for others. Because too many of you are hurting right now. And it seems selfish to sing it any other way. When I was in college I heard a sermon that connected with me. It was preached out of Psalms 57, which was written as David fled Saul and hid in a cave. At the beginning of this chapter David is crying out to God and telling God of his troubles and his fears and his worries. But by the end he is singing praise for God and his faithfulness. David was still hiding in the cave even as he praised God, but he knew that God would be beside him because He had always been beside him. In this sermon, the preacher made the statement that everyone we know is either going into a cave, in a cave, or coming out of a cave. Such is life. Hard times abound and if we're not dealing with them, it's because we've just dealt with them or we're about to. But here's the thing, these hard times that we go through—this pain and difficulty that you are facing right now—this is your story. This is the testimony that God is giving you to share with others in their hard times. Today's challenge is also tomorrow's reminder that you've got this. Not only are you stronger than you think, not only do you have so many loved ones giving you all of their strength and support, but you also have the strength of The Almighty behind you. As constant and continual as the difficulties are, God is even more so. He literally is our Champion. He fought and died for us even though we are not and never will be deserving of such love and sacrifice. In the big and the little and even the unknown, God's got this. He won't fail you, and even though it may seem that He's far away sometimes, He is always there. He's never been late. He's never left you alone. He's never given up on you. Don't give up on Him. Don't give up on Him. Right now, you're hurting and you're overwhelmed and you're doing your best to trust him; you're reminding yourself of His Faithfulness. Take a breath. Close your eyes. Listen to this song. Find peace in it because soon enough you will be singing it to others. God's going to get you through this. and I'm always going to. So be strong and courageous! Do not be afraid and do not panic before them. For the LORD your God will personally go ahead of you. He will neither fail you nor abandon you.